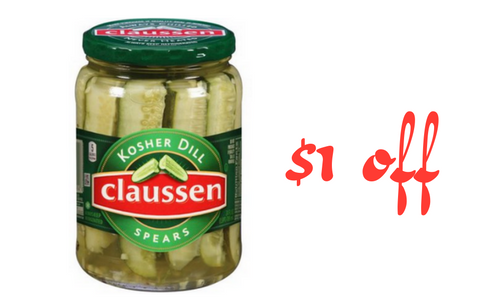 Print the new high-value Claussen coupon to save on pickles. There are no size restrictions on this coupon. It’s valid for 30 days after it’s printed. Grab $2 pickles this week at Target with the coupon.